Isca's lines. Probably taken off the hull. and now in the posession of Bruce Askew. The Isca was built at Clyde Quay, Wellington in 1880 to a Dixon Kemp design by T. R. H. Taylor, for A. S. Collins of Nelson. Her build was a single skin of 1" kauri on Australian Blackwood. She was not a success in Nelson, being down at the head. 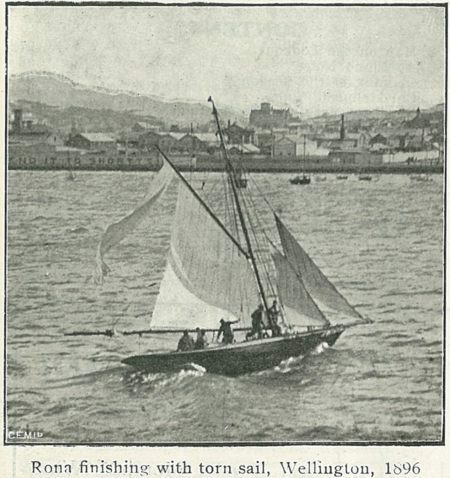 The smaller second class centreboard racer, Pet, was shipped across from Wellington for a challenge race, and beat the Isca easily. 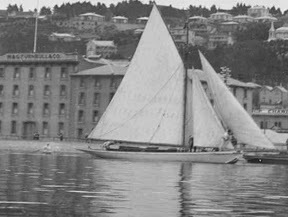 Collins lost interest and the Isca lay idle until Professor R. J. Scott purchased her for racing with the newly-formed Port Nicholson Yacht Club. Scott tweaked her up, importing a new douglas fir mast from Australia, adding a lead shoe to the counter to bring her nose up a bit, and added 3 1/2 tons of external ballast. Her performance improved somewhat, and she won a few races in Wellington, though against inferior boats - mostly converted boats never built for speed in the fist place, or racing boats imported and too light to excel in Wellington conditions. He took her to Lyttelton in 1884 to compete the anniversary regatta there, but was defeated. 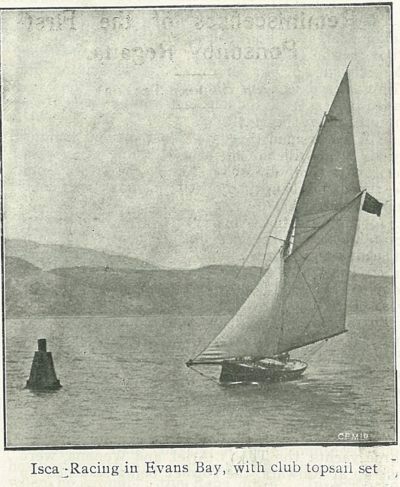 The Isca was taken over by E. C. Batkin, who again took her south to compete the 1886 regatta where she emerged victorious in a strong Easterly. If nothing else, she covered a lot of sea miles in her time. 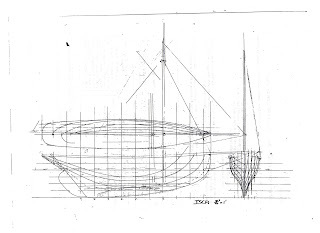 The Isca was 38 feet LOA, 32 LWL, with only six feet beam, and carried a 14 ft bowsprit. With her large club topsail set (see left), her rig stood 55 feet. She was a yacht of the old gentlemanly school, immaculately kept during her time in Wellington, and campaigned hard. She was a well-known and popular vessel, as were her owners and skippers, but she was never the racer many claimed her to be. 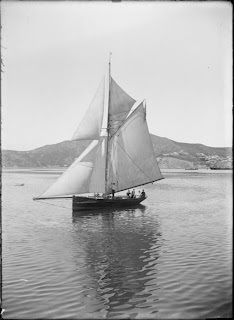 However, she had the reputation of being quick in stays, and her skippers used this to advantage when working the tricky shifts on the Hutt coast off Ngauranga and Kiawharawhara. Her victories against other first division boats were generally on time allowance, and she even had trouble beating the better quality second class yachts across the line. Isca did however, have one moment of undeniable racing glory, which unfortunately also ended in her destruction. 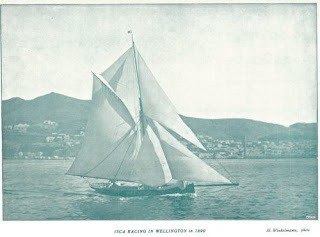 Isca had been entered in the Wellington regattas, but the best she had ever got was second. in 1892 she was beaten out by Mapu, and early February 1893 she was beaten by the Maritana on the run down from Korokoro. The Isca losing and resetting her topsail three times! 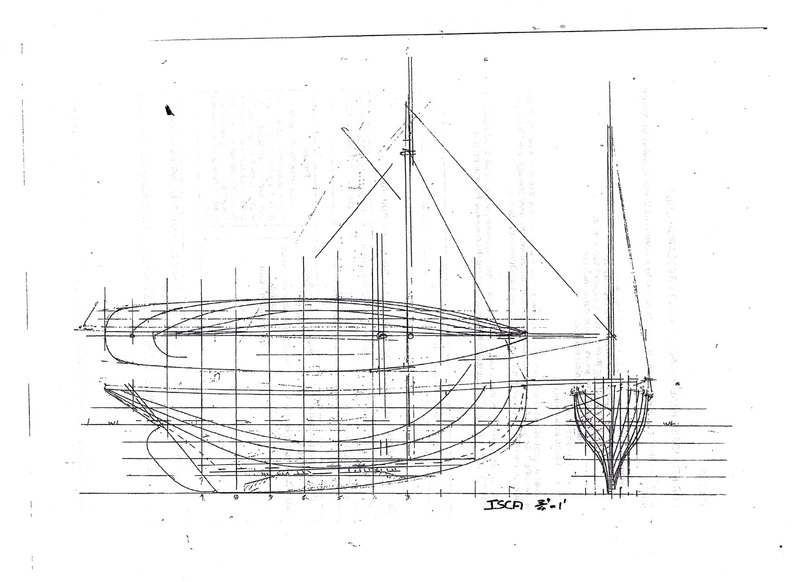 The Rona, the latest thing in yacht racing had just been built that year to Alexander Turnbull's order by Robert Logan. She was en route to Wellington when the 1893 regatta took place, and had proved herself a speedy vessel in Auckland. 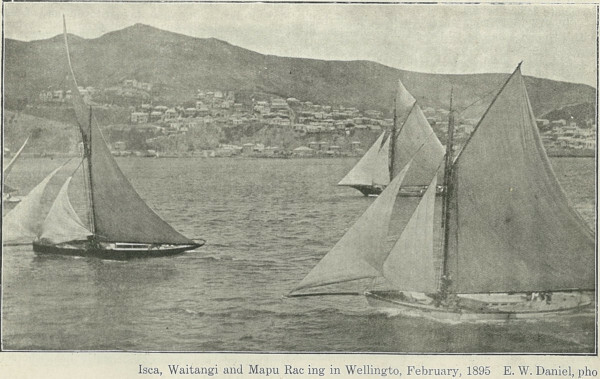 Rona won her first race in Wellington in late February 1893, Maritana second and Isca third. This was the second race of the PNYC first class season. 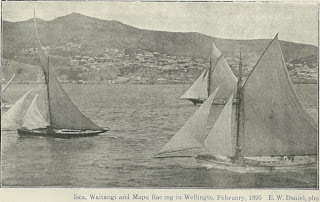 Rona came second behind the Maritana in the first class race at the Wellington regatta in 1894 on corrected time after a close finish which included the Isca. Atalanta - Stole Rona's thunder when she arrived in 1895. 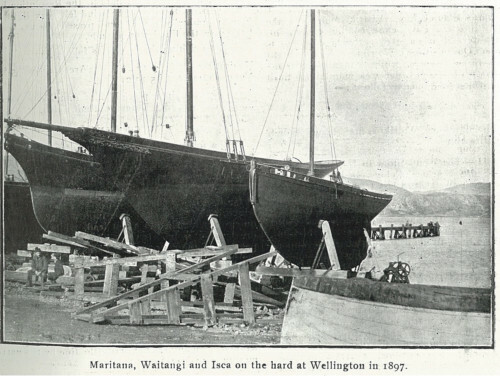 Robert Logan made the trip to Wellington to tune up the Rona for the 1895 Regatta, and she beat all of these boats. All were surpised however, by the Atalanta. who crossed the line first, but was later disqualified for carrying a larger mainsail than rated for in the regatta. Isca was nowhere. The 1896 Regatta saw both the Rona and Isca racing in the second class. A blustery Northerly blew, and the other three vessels in the race, Waiwetu, Mahina, and Mapu had to withdraw. Isca and Rona fought on, each sniffing their chance. They each passed the final mark at Korokoro in company, from where it is a straight drag on a reach to the finish off Queens' wharf (there was not so much reclaimed land in those days). It was felt that the Rona was making the better of it - Isca, in full sail, had started her planks under the press, and there appeared to be more water in the boat than out. Rona looked set to pull away and was felt by spectators to be sailing a better course when a gust caught her - splitting her mainsail and her foresail. The gooseneck on her boom also carried away. Both yachts crossed the line to great applause and cheering from the crowd crowding the waterfront - Isca having won by 27 seconds. Rona went back to her moorings, while Isca, on the verge of sinking, turned straight around and went on the hard at Evans Bay. She never went back into the water. Isca sat and was finally broken up in 1897/8. Her lead was purchased by a plumber at Thorndon, who made nails of it. Her mast went into the Kotiri, recently built, as did most of her deck fittings and her canvas. Kotiri's mast had been found dangerously tender on her first foray into sailing during the 1898 regatta. That mast proved worthy of the import back in 1883, as it was still in good service at least into the 1940s. It had been put under plenty of pressure during its time!